The Food and Drug Administration's position on acetaminophen, the active ingredient in Tylenol, is giving parent company Johnson & Johnson a branding headache, according to researcher YouGov. 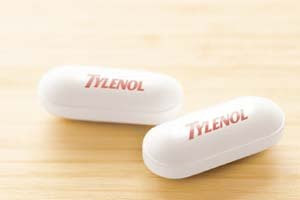 The firm, whose BrandIndex polls 5,000 U.S. adults daily on brand perception, found Tylenol's negative buzz grew in a very short amount of time. 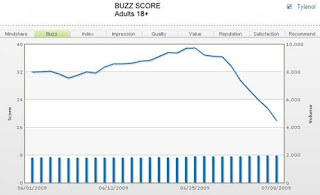 On June 25, the brand's buzz score - which is rated on a scale of 100 to -100 and calculated by subtracting negative feedback from positive - was 38.9. On July 9, that score was 18, an "incredibly sharp drop in a very short time," per a YouGov rep. The FDA announced its ruling on July 3. The agency reasoned that acetaminophen could cause liver damage and recommends maximum doses of Tylenol be reduced. Extra Strength Tylenol, which has a higher amount of acetaminophen than the regular kind, could become prescription-only. Tylenol, which famously countered a pr debacle in 1982 when an unknown criminal laced Extra Strength Tylenol with cyanide, killing seven people, quickly addressed the FDA's ruling with full-page newspaper ads calling Tylenol "the safest brand of pain reliever you can choose," and stressing that the onus is on the individual consumer to take the proper dose.